Your dog may not howl at the moon or growl at every person it meets, but there is still a trace of the wild animal buried deep inside. Beware that these animal instincts can be triggered given the proper circumstances, leading to a serious Missouri dog bite. Even the most docile family pet can suddenly turn on a family member or close friend, but these attacks rarely come without warning. The dog growls, bares his teeth or snaps at you. This is more common when food or strangers are involved. The dog's ears and tail are sticking straight up or back. The dog may appear to be waving its tail, but if the ears are pointed upward, it's more likely that the dog is upset rather than happy. The dog's entire posture is rigid. This is the sign of a dog that is not comfortable with the situation. The dog's hair appears to be standing on end. The dog's tail is tucked under its body and it's cowering away from you. This is a sign that the dog is afraid. If you've been the victim of a dog bite in Missouri or Illinois, you may want to talk to a lawyer regarding your rights. 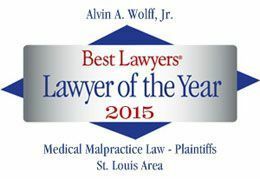 To see if you have a potential case, contact one of our experienced St. Louis dog bite lawyers at 877-241-1020. Be sure to request a free copy of your book: How to Pick a Lawyer.